and those are every day prices. I try to keep my prices competitive and match mail order prices on products my suppliers have in stock. 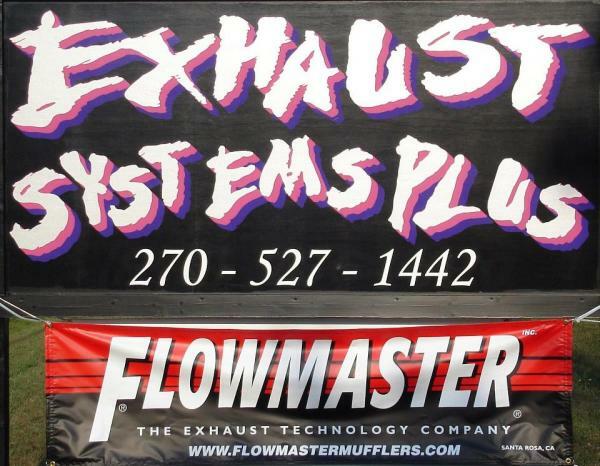 Hi my name is Jeff @ EXHAUST SYSTEMS PLUS and here are some examples of my work. I take great pride in my work and have been building exhaust systems for 30+ years. I worked @ The Exhaust Works in Montgomery IL for 5 years learning the trade and then I started Exhaust Systems Plus Sept of "1993" in Sandwich IL. I have many pictures of cars that I have worked on over the years to share and can also show pictures of work done by others to compare what a difference years of experience makes. Experience in bending exhaust pipe makes a big difference in the quality of the job and YOUR SAFETY. If you bring your vehicle to me I am the only one who will be working on it. 30+ years of experience in the exhaust business is hard to match. My business is insured and I guarantee my work. I hang an exhaust the best that I can and rarely have broken hanger issues, but in the event a hanger fails I will fix it for free. Increase power and fuel economy to your Diesel Truck with a high-flow mandrel bent Exhaust System! Larger diameter pipes and mandrel bending results in increased horsepower & torque, along with better fuel mileage. Larger exhaust on your diesel helps lower EGT's by reducing back pressure allowing the turbo to spool up faster which means better performance, economy, and longer turbo life. Did you know a performance exhaust system not only sounds cool but it can improve your fuel mileage too, or add a K&N air filter and still be quiet. Check out some pics of work I have done in the pics below.